Cloud Migration and Backup Go Hand in Hand! While many organizations are content to remand their files to on-premises storage, and simply back those servers up locally, this is ultimately a wasted opportunity. As we’ve discussed in the past, migrating to the cloud is one of the best ways to protect content–both general and sensitive. Looking at migration through the lens of backup necessities only further emphasizes this fact, and while local backup tools are common, they do little more than compound the cost of an already pricey server environment, while doing the bare minimum to preserve your business’ content. 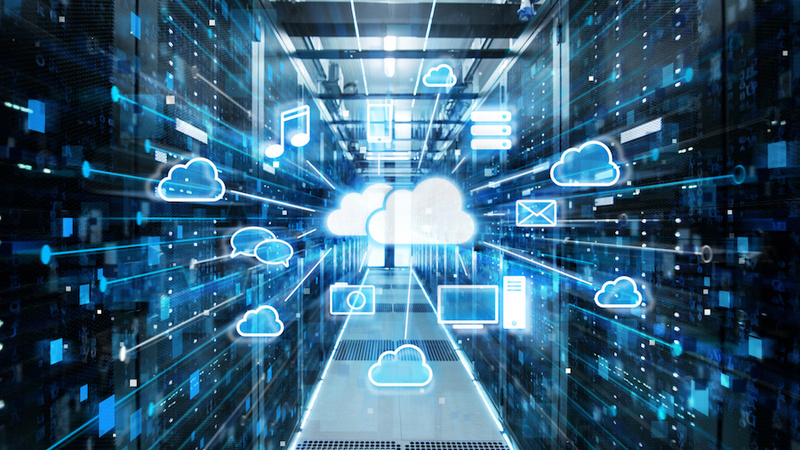 Cloud collaboration platforms incorporate a range of powerful backup protocols, and more and more organizations are taking note, and investigating how migrating to platforms can be a better launch pad to strong backup strategies than a clunky local option. Paying attention to these issues better prepares admins and IT personnel to make informed decisions about how to store and protect content, and the organizations that take the issue seriously are all the better for it. While local backup solutions seem sufficient upon first glance, a deeper look into the options provided by cloud collaboration platforms and their assorted backup features throws that workability into question. Though platforms such as Box or Dropbox aren’t in and of themselves backup solutions, they do backup user files to their own servers, and provide an ample slate of user-driven backup-adjacent tools that give users more access to their backed up content, including older versions of crucial files, and nimbler restoration capabilities. While local backups may indeed store previous copies of a document or spreadsheet, they can only do so if that version is specifically backed up on its own. Cloud collaboration platforms, however, often preserve up to 100 versions of file, allowing users to easily move between them if they need to identify when certain elements were changed, or simply grab a piece of content that was later eliminated in the editing process. “Restore” features are also far more common and powerful in the cloud. Should a piece of content be deleted from your local backup, it’s safe to assume that that item is lost, unless you happen to still have it on your personal device. In platforms like Box and SharePoint Online, content is retained for a set amount of time (which can be dictated by users and admins) after it is deleted, providing teams with the opportunity to retrieve a deleted file if they suddenly realize that it’s still relevant, or simply need to take note of a bit of the information that it contained. Not only are these features a boon for users in the day-to-day trenches of collaboration, they also make organizational compliance with regulations such as GDPR a whole lot easier. As GDPR and other regional compliance rules will dictate how different content should be stored, and how long it can be stored for, the possibility of accidentally losing something from a backup carries with it heavy penalties that most organizations simply cannot afford. Why risk crippling fines because you failed to properly back a piece of sensitive content up, when you can make use of a solution that automates backup, and further reinforces the security of accessibility of your content with the aforementioned tools? Another way that migration to cloud collaboration platforms puts organizations in a better position for backup? The additional physical security of the servers on which that content is stored. Organizations like Microsoft and Box have data centers all around the world supporting their cloud environments, so that should disaster strike in one location, users have access to all their content via another. For most businesses that rely on local storage, that one file server room is it. This means that if something were to befall your local backup–be it a simple maintenance issue or something more sinister–it’s likely that all of the content your admins have been carefully and strenuously backing up is gone. You can hope that users themselves have retained much of it on their devices, but if not, your options for restoration are practically zero. Not so with cloud backup features. For content that you’ve stored in a platform like OneDrive, it would effectively require an outage or sabotage spanning hundreds of data center locations worldwide to eliminate the files that you stored in the cloud. The resilience of the cloud backup solution is simply unmatched by local options, as–with this global network of servers–you essentially have dozens of backups of your backup. To achieve that locally organizations would need to expend an absurd amount, which is neither efficient nor worthwhile. So, how does your organization acquire this secure, feature-rich backup strategy? Cloud migration, course! With cloud migration, organizations are investing in backup at the same time they’re moving their content. In addition to getting the incredible wealth of collaborative features and integrations that we’ve spent dozens of posts exploring, your business is also getting an automated, always functioning backup solution that ensures the safety of your content in ways that local options will simply never be able to. Cloud migration makes sure that your files are more valuable and also infinitely more secure. The relationship between cloud migration and cloud backup ultimately speaks to the powerful unified approach that cloud collaborations provide to enterprises looking to evolve. Combining tools to work on your content and additional tools to protect it, cloud storage solutions fundamentally understand that the value of your files, the accessibility of your files, and the security of your files go hand in hand, that these essentials are all symbiotic. Opting for local backup carries with it the same issues as choosing to stick with on-premises storage: it’s a costly addition whose features–while not terrible–are insufficient and unimpressive in the face of other solutions. When it comes to something like backup, the stakes can be immensely high, and the penalty for making the wrong choices extremely severe. This is not a moment where you can afford major missteps.